Table number cards are a wedding essential and these gorgeous cards from the Vintage Romance range allow you to direct guests to their tables with style and elegance. 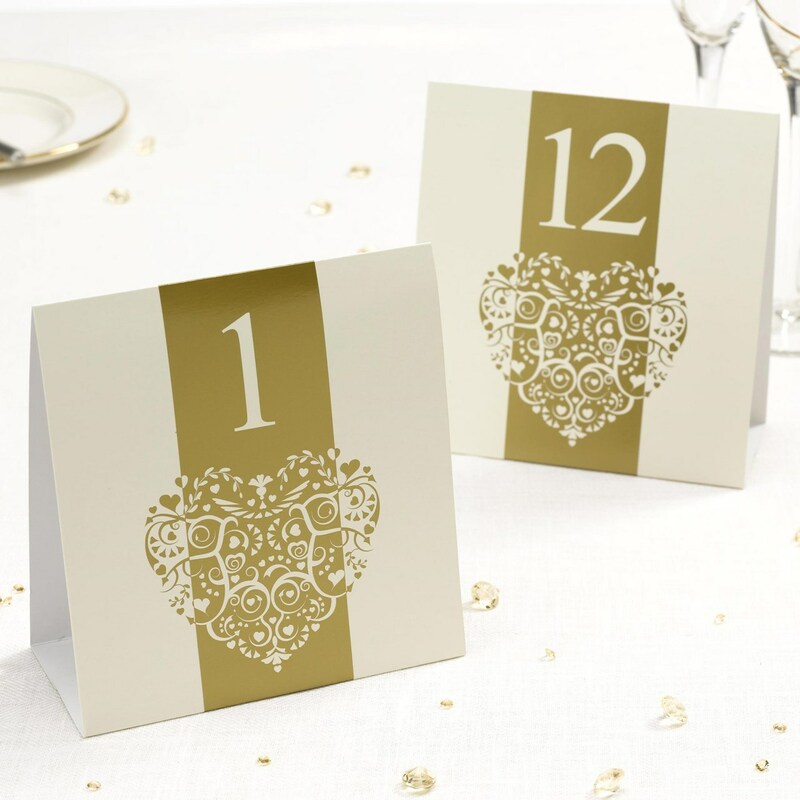 Each stand-up card features a simple design with a central band of gold, table number and pretty heart motif, enhanced with a miniature heart and swirl illustration. A simple way to organise your wedding tables. Each pack contains cards numbered 1-12.